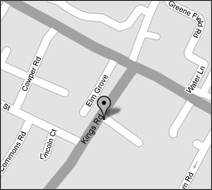 Please call the practice on 01442 875120 as early as possible in the morning so we can arrange an appointment at Kings Road Dental Practice that same day. If you in a constant pain with a tooth, then there is obviously something wrong which requires attention. Painkillers are recommended and if you are able to take it, Ibuprofen is the best. If you are unable to take ibuprofen, Paracetamol is advised but be careful never to exceed the maximum dose. This is usually caused by an infection and treatment or antibiotics will be required. Please contact the practice as soon as possible even if you are in no pain. This can often be restored quite simply so don’t worry. Avoid extremely hot and cold foods and drinks. Try to avoid eating or biting on that side. Painkillers can often help. An early appointment is recommended to avoid further damage to the tooth and possibly the nerve inside. A temporary restoration can be placed quickly and painlessly in all but a few cases. The tooth needs to be re-implanted as soon as possible. The timing of this is crucial to the long term outlook. If you can, gently place the tooth back into the socket and splint in place with silver foil. If this is not possible, DO NOT place the tooth in water or run it under the tap to clean away any debris. DO place it in some cold milk or on one side of your mouth between you teeth and cheeks until you can be seen either by us or a local hospital emergency dental department. Avoid handling the tooth root too much to protect the fibres around the root surface. In children upto the age of 5-6 years the tooth is most likely to be a baby tooth which would not require reimplanting. An urgent appointment or expert advice is recommended to try to confirm this. Broken dentures can usually be repaired relatively easily. Please don’t attempt to glue them together your-self as this often makes a repair much more difficult. Please call the practice to organise the repair.